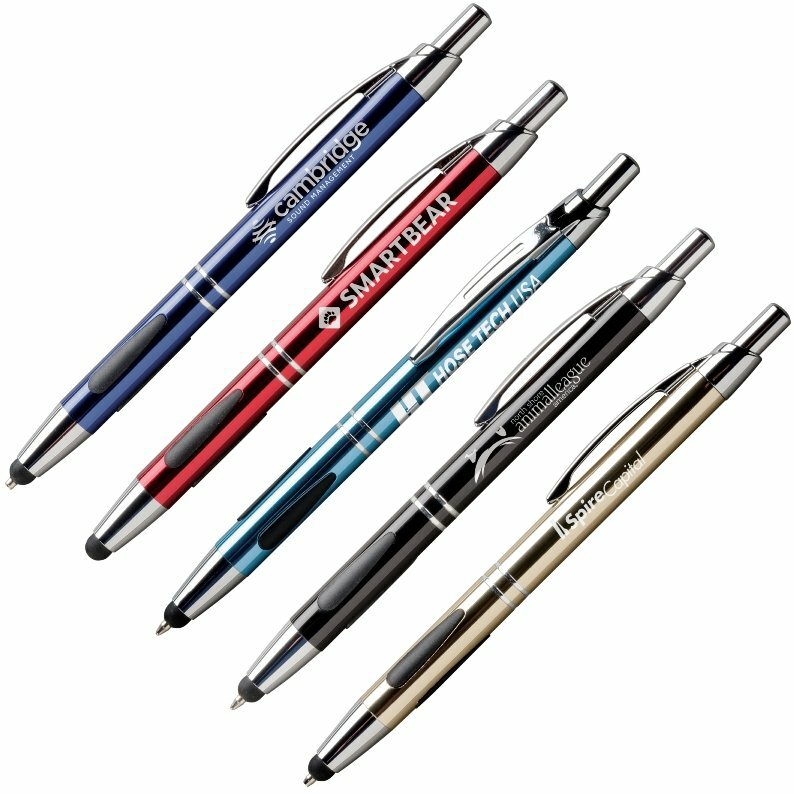 Engraved with your company logo order the popular Vienna Stylus Pen. Apps are promotional metal pens, custom pens with a company logo. Features are all metal pen construction, stylus tip and a writing pen. Pen Colors: Navy Blue Cinnamon, Lt Blue, Black & Champagne. Pens cello-wrapped & bulk packed. Gift boxed add: $1.00 each. Available with a Blue Ink pen cartridge only for this metal pen. Delivery from date of custom metal pen order 2 to 3 weeks. Price includes a laser engraved logo in area 1 3/4" w x 7/8" h.
Factory laser setup is $45.00. Engraving shows thru sliver.